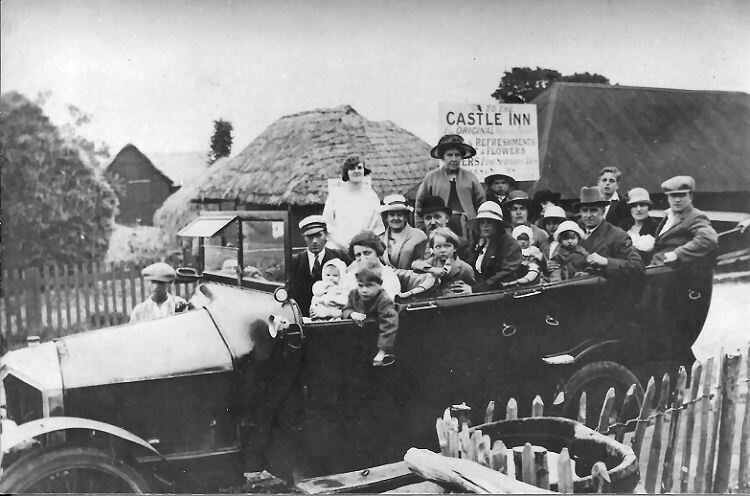 Above postcard, sent by Rory Kehoe, showing a sign to the Castle. But which one? 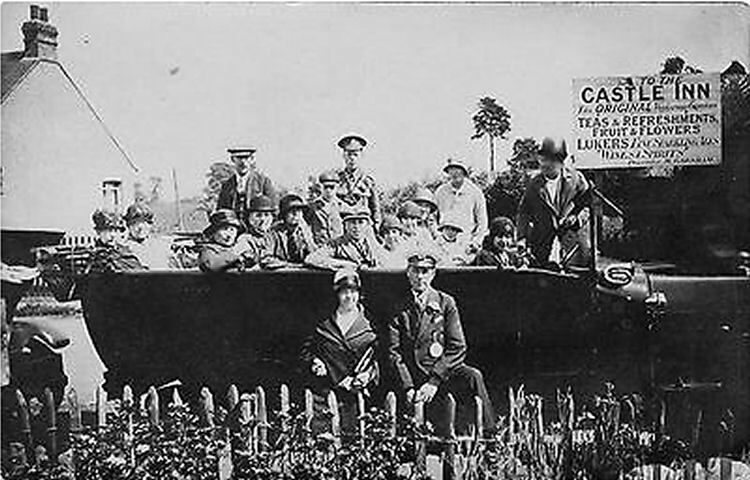 Looks like it is in Little Wakering/Barling, Southend in Essex and the date is 1914. Many thanks to Paul Wells for finding this one. 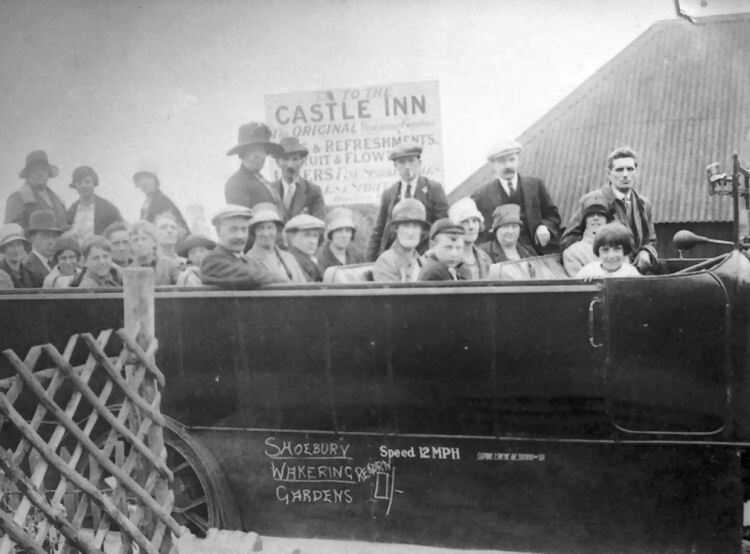 Above postcard of a charabanc at Little Wakering. 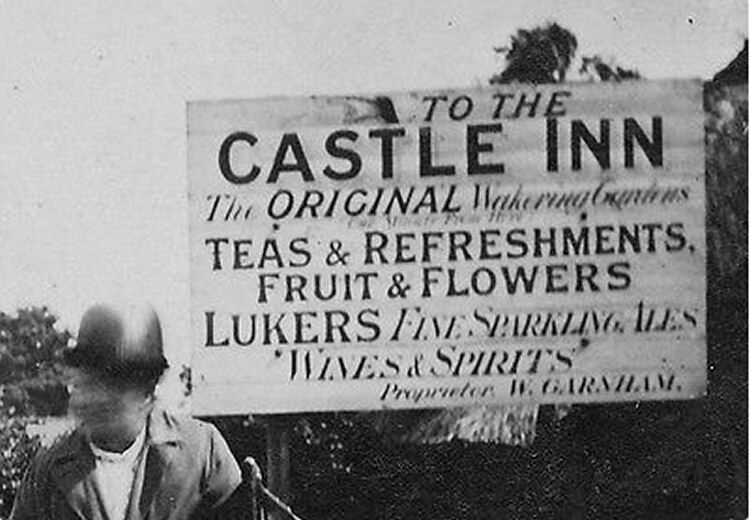 The sign shows W Garnham as the proprietor of the Original Wakering Gardens; he's shown in Kellys 1914 directory as a Fruit Grower at Little Wakering.